Just lovely wedding invitation with a bracket trim, clean and classic for understated bride. 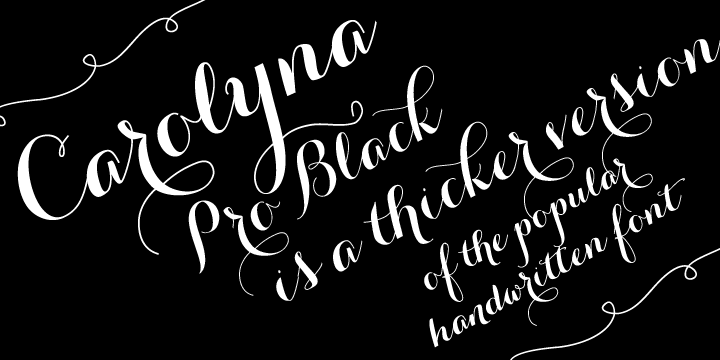 Carolyna Pro Black is a handwritten script typeface designed by Emily Conners. It is an elegant, yet whimsically handwritten calligraphy font that was created with readability in mind. With over 1000 characters, there are many stylistic alternates, tons of foreign characters and fun swashes to play with your wedding headings. You can buy and download Carolyna Pro Black at Myfonts.